Will Hayes’ hallmark is his compassionate and grounded presence as a practitioner who holds profound space for healing. Will utilizes his intuitive and technical gifts to be of service in addressing the unique needs of others. Will believes the stress and trauma people experience along with beliefs held are stored in the body and manifest as symptoms of “dis-ease” over time. His work is firmly rooted in awareness of nervous system functioning and the ability to regulate and achieve greater balance from the inside out. Will received his Practitioner of Healing Arts Degree from Windemere Institute of Healing Arts (Decorah, IA) in 2005. In 2009 he completed a 2-year course of study in sacred geometry, energetic healing, and shamanic ceremony. He has spent the past 10 years training in various astrological traditions, most notably Mayan, Chinese, and Western. He completed extensive training in Neurovascular Therapy in 2015. 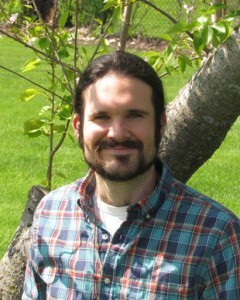 He is a Licensed Massage Therapist in WI and Reiki Practitioner. “After more than ten years of seeking treatment to relieve my chronic TMJ and Fibromyalgia pain, I had a Neurovascular Therapy session with Will Hayes. Oh what a relief it was! I could not believe how such a gentle approach could put me into a complete state of profound rest. I have never felt such a deep level of restoration. It is the most relief I have found for TMJ pain. He was able to release muscles in my mouth, which is a life-saver for anyone suffering from TMJ pain. Over time, I have found the reduction of TMJ pain has led to a reduction in Fibromyalgia pain. Will is so talented and wise in his ways.” Teri B. Middleton, WI. Click here to read William’s testimonials.